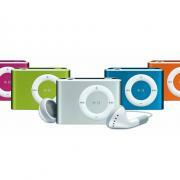 It's September, and that means Apple unleashes their new iPods in time for the holiday shopping season. Not sure why September is in time for the holiday season, they could release December 18th, and that'd be plenty of time to make it into my holiday shopping. So what's new? Well according to Jobs, everything is new! As it turns out though, not so much.